How is a ‘Leader’ defined? 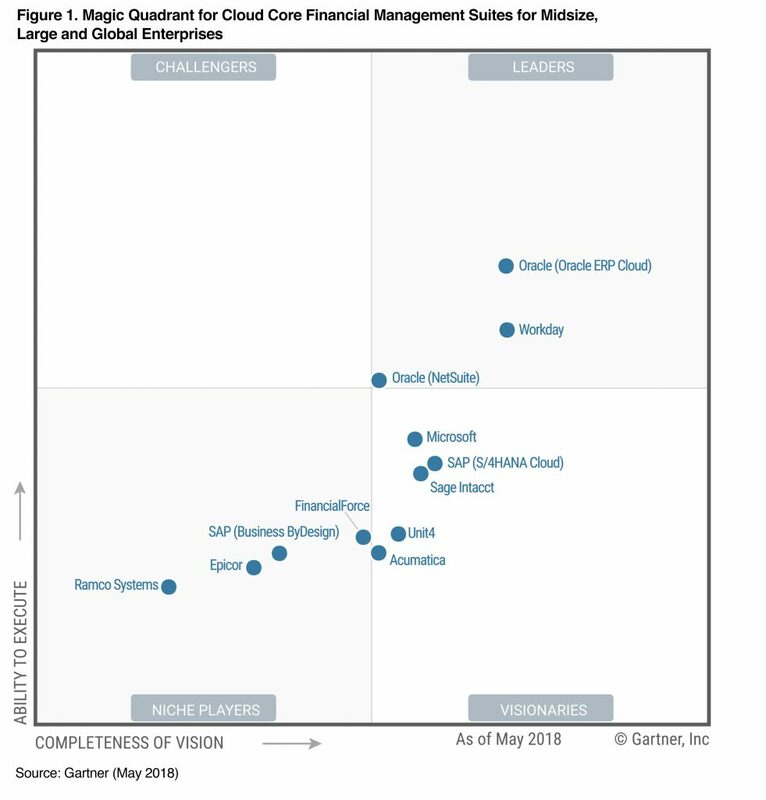 According to Gartner: “Leaders demonstrate a market-defining vision of how core financial management systems and processes can be supported and improved by moving them to the cloud. They couple this with a clear ability to execute this vision through products, services and go-to-market strategies. They have a strong presence in the market and are growing their revenue and market share. In this market, Leaders show a consistent ability to secure deals with enterprises of different sizes, and have a good depth of functionality across all areas of core financial management. They have multiple proofs of successful deployments by customers, both in their home region and elsewhere. Their offerings are often used by system integrator partners to support finance transformation initiatives. NetSuite customers include some of the most innovative, fastest growing companies in business today. Read our stories on Hint Water, VIVOBAREFOOT and Loot Crate. Do you want a financial management solution re engineered for the cloud or one built on the cloud since Day One?